Where can I access API settings and documentation? 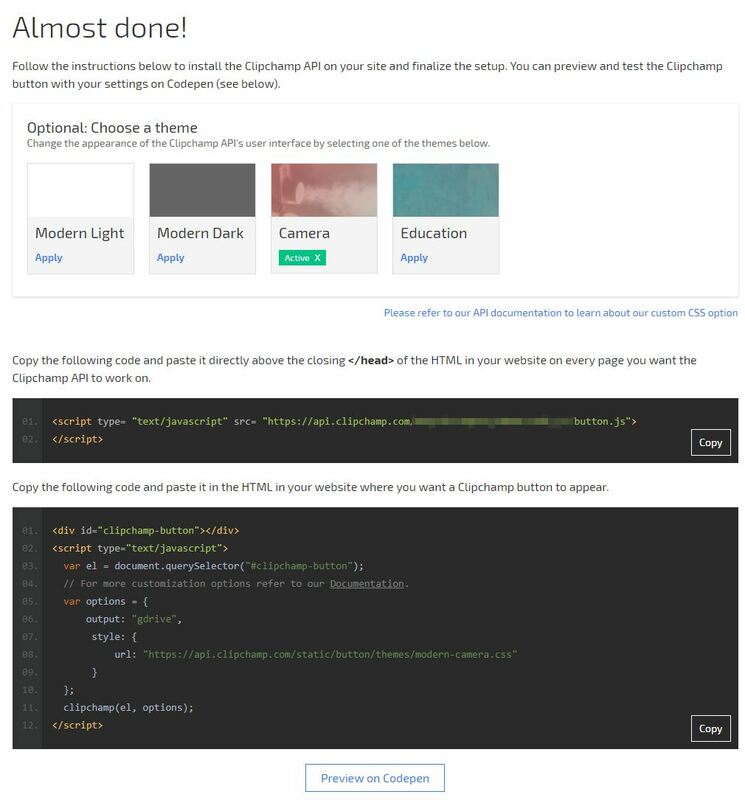 If you're using our plugin for WordPress, note that you'll need to access and set some information in your API settings at clipchamp.com as described below (i.e. 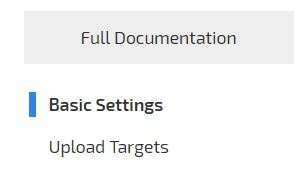 set web domains and an upload target, copy your API key), however the majority of WordPress-plugin specific settings need to be adjusted in the plugin settings of your WordPress admin backend. If you're using the Clipchamp API without the WordPress plugin, everything mentioned below applies to you. 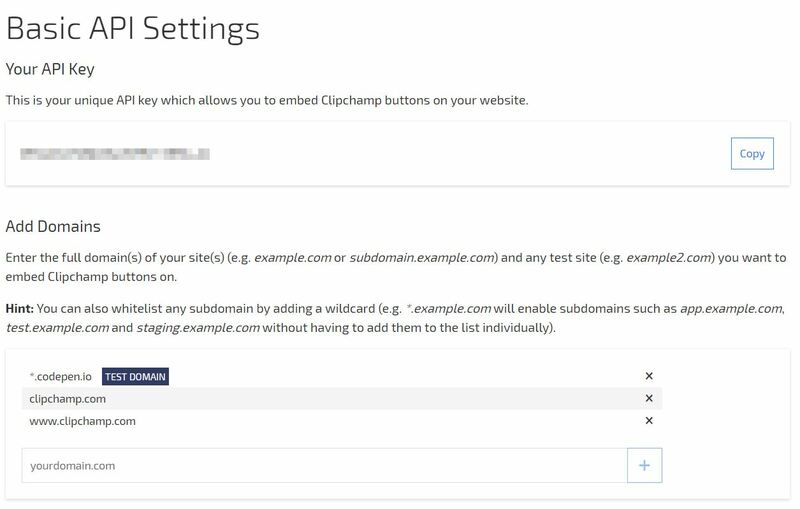 If you've already subscribed to a Clipchamp API plan, you can access settings such as your production domain, upload targets and your unique API key at https://util.clipchamp.com/en/api-settings/basic. You can get to this screen by following the link above or from the dashboard of Clipchamp after logging in and if you've already subscribed to a plan. There are 2 options to set up basic API settings as well as make changes to them after the initial setup: the Setup Wizard and the Manual Configuration. 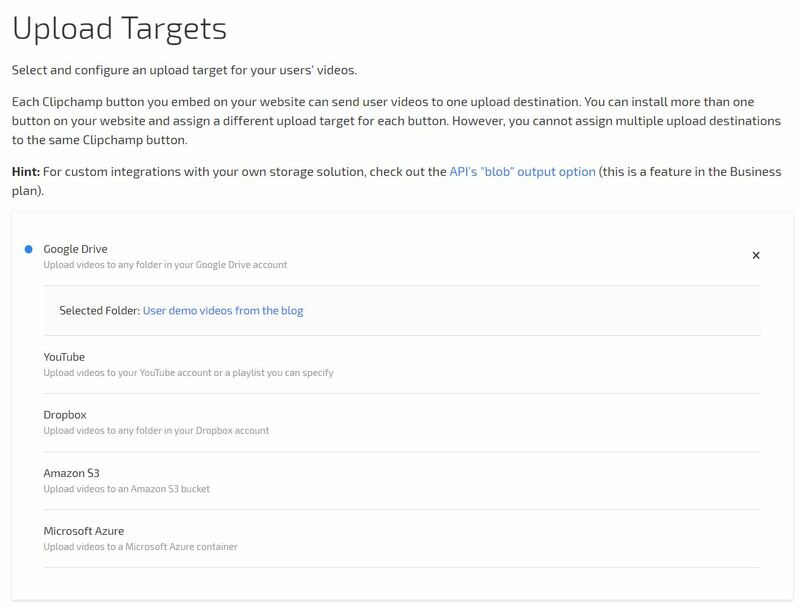 The Setup Wizard guides you through 3 steps to enter all required information to have a video recorder running on your website - enter web domains that you want the Clipchamp widget to work on, add an upload destination for user videos and copy&paste the Clipchamp code onto your site. The Wizard also lets you select a UI theme and includes the option to preview the video recorder and uploader on CodePen. The Manual Configuration includes more detailed options but requires more manual setup steps and coding compared to the Setup Wizard so is best suited for experienced developers and software engineers. Manual configuration assumes that you know how to use the API's full documentation and add its parameters to your code. 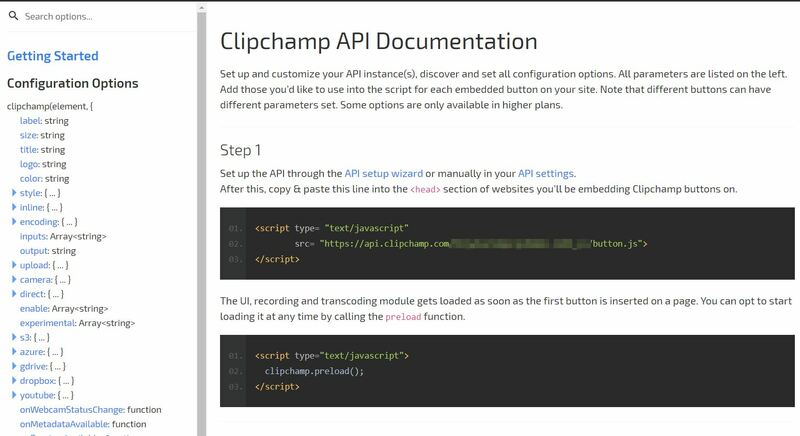 To access all API parameters - their availability can depend on the API plan you're on, please see https://clipchamp.com/en/documentation/getting-started. 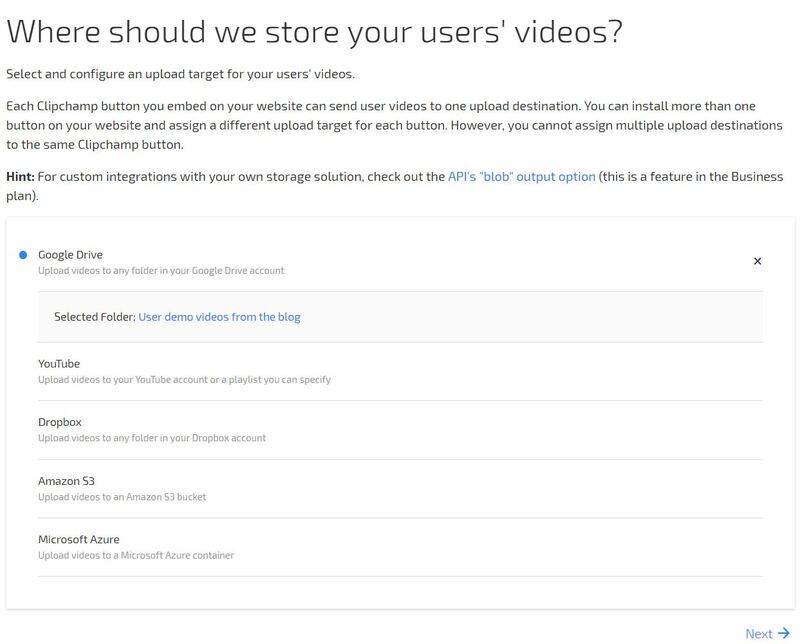 If you're using our plugin for WordPress to embed a Clipchamp video recording and uploading button on your WordPress website, please see this support article for how to set up and make changes to the plugin and API settings.